Our patch, our colours our life! Some of the brothers showing support at a local festival. Mark our founder, founded our club in 1988. Click here for our club history. Various accounts of the times record many battles between armies carrying the Celtic British Red Dragon Banner (now the Welsh Dragon) and the White Dragon Flag of the Saxons, Angles and Jutes (the English Dragon). The White Dragon continued to be carried up until Harold and the battle of Hastings. 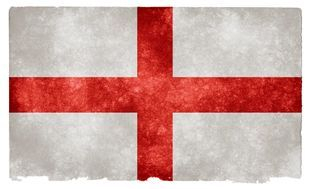 "The Club name Wyrm Ryders means Dragon Rider in old English"
The banner of St George, the red cross of a martyr on a white background, was adopted for the uniform of English soldiers possibly in the reign of Richard 1, and later became the flag of England and the White Ensign of the Royal Navy. During Edward's III campaigns in France in 1345-49, pennants bearing the red cross on a white background were ordered for the King's ship and uniforms in the same style for the men at arms. When Richard II invaded Scotland in 1385, every man was ordered to wear 'a sign of the arms of St George', both before and behind, whilst death was threatened against any of the enemy's soldiers 'who do bear the same crosse or token of Saint George, even if they be prisoners'. 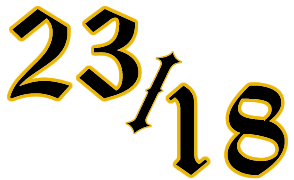 The Wyrm Wryders Brotherhood, although we ride motorcycles we are more than that, our brotherhood has a core belief at our roots based in ancient pagan traditions, our brotherhood has a deep pagan past based on our respect for the old gods. We are our own religion based on our heritage and traditions and look to the old Nordic gods and goddesses as part of our brotherhood. Everything about our brotherhood has a secrete side with hidden meanings that point to our beliefs.